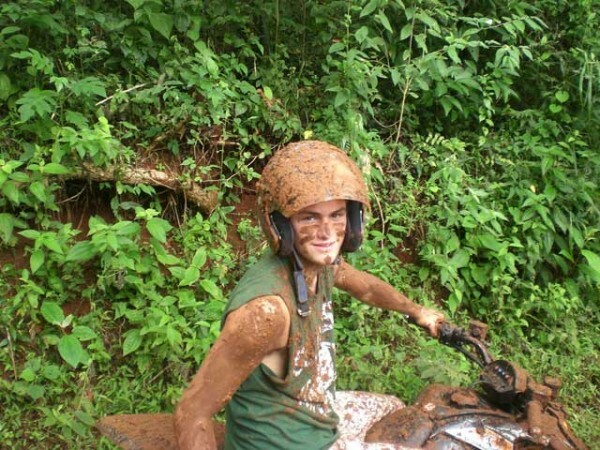 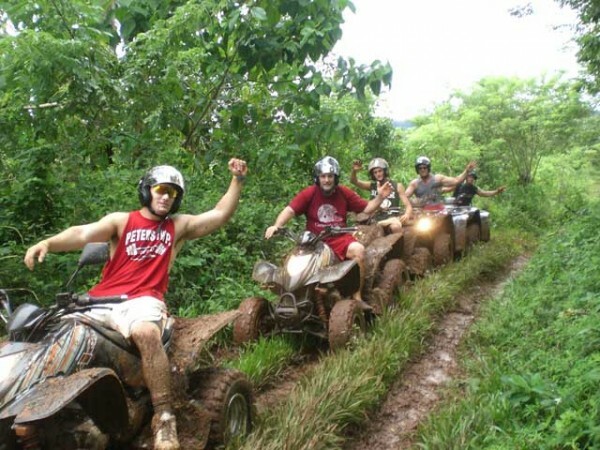 The tropical Pacific terrain – of forests, mountains, plains, valley and river – provides both beautiful scenery and exceptional features for ATVs. 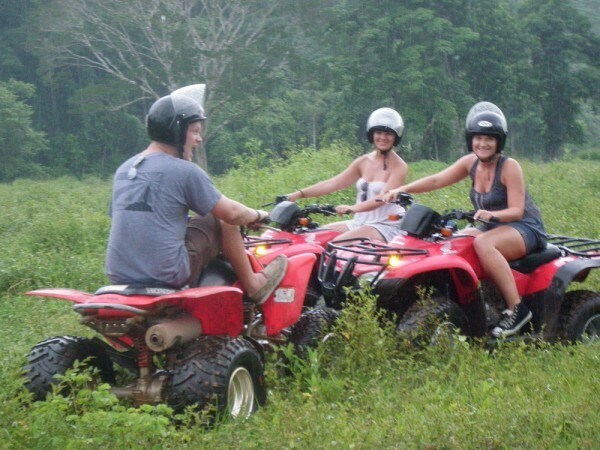 This adventure tour offer riders a safe and exciting way to access some of the area’s most impressive landscapes. You will start at the private entrance and cover almost 6 kilometers of terrain going through the valley to the end of the private valley at a private waterfall. 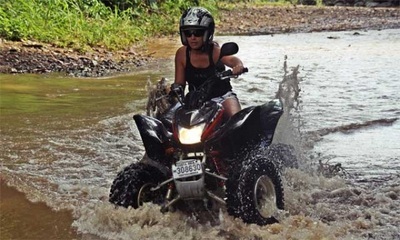 You will cross our river multiple times as you explore raw and wonderful terrain. 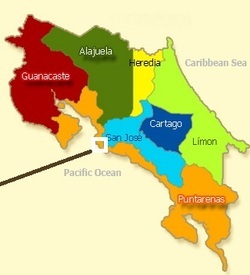 The ultimate stop will include an 800 meter short walk to the waterfall. 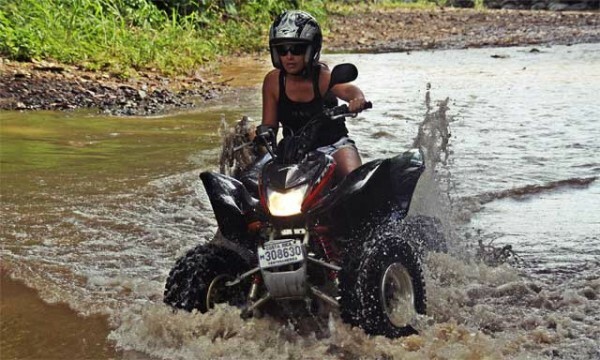 For a surcharge, this ATV quad adventure tour can also be extended to pass through surrounding pueblos and interesting adjacent mountains and river valleys. Please Note that all tours and prices are subject to change and availability. Scheduling is approximate. 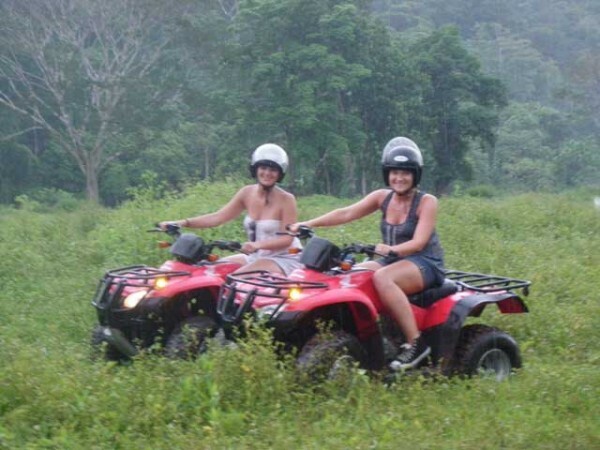 Wildlife and scenery seen will vary on each tour, and tours run rain or shine. 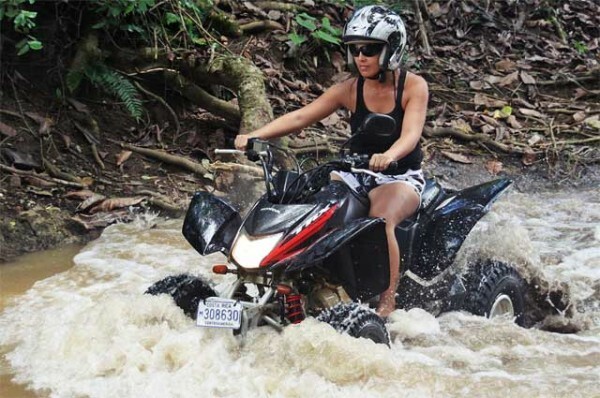 If in the unlikely situation that sea conditions are unsuitable, the head guide might make the call to cancel or postpone the tour and/or offer an alternative activity for the day, credit, or refund.